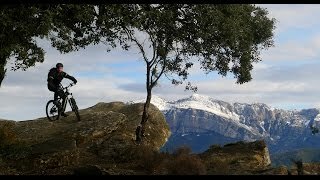 The region of “Sobrabre” is a reference at European level in the practice of BTT because the beautiful places that we can go through the Pyrenees. Thanks to the great work of some residents of Ainsa and administrations, “ZONA ZERO” was born. Btt Center in the Pyrenees. For some years, these mountain bike enthusiasts have recovered a large network of trails that were destined to extinction. It has 550 km, the great majority trail. The center consists of a total of 16 marked routes and 4 GPS tracking. Making a total of 20 routes, two of which are considered easy. Closed garage for your bike. Area maintenance with air pump. To take advantage of this offer you just have to contact us with reference to “OFFER BIKERS” through hotel@penamontanesa.com or calling (+34) 974 510 051.